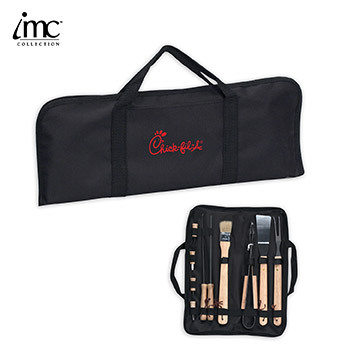 Zippered 11-piece BBQ soft case with wood handles. Includes fork, tongs, spatula, basting brush, skewers and corn holders. Fire up that grill!